Looking for apartments for rent near SeaWorld®? Set on one of the area’s many beautiful lakes, Dwell Nona Place is a peaceful retreat on Lake Whippoorwill that you’ll love. Our spacious one and two bedroom apartments, and three-bedroom townhome floor plans feature soaring nine-foot ceilings, full-sized washers and dryers, wood plank flooring, and high-end finishes. 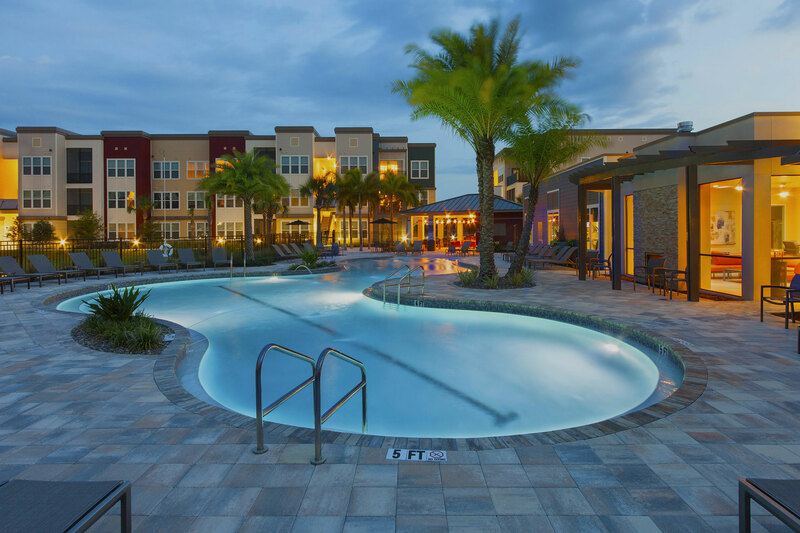 Our rental community not only provides a host of luxury amenities, but we’re situated in a convenient location with easy access to the Orlando metropolitan area and its attractions including SeaWorld®. The 10th most-visited theme park in the country, SeaWorld welcomes nearly 4.5 million visitors each year. Founded in 1973, this aquatic theme park has been serving visitors for more than four decades. The park is home to amusement rides as well as a host of marine animals that visitors can experience. With such a large operation, it takes a lot of manpower to keep it running smoothly. SeaWorld® employs more than 5,000 full-time employees and 13,000 seasonal employees during peak season. Our apartments for rent near SeaWorld are convenient to the park but far enough away from the bustle to provide a separation from the activity. Less than 30 minutes away, Dwell Nona Place is an easy commute to SeaWorld®. In addition, our rental community is close to a myriad of local conveniences so you can take care of your errands with little hassle. Within a 20-minute drive you’ll find Target, Starbucks, Publix, and a variety of restaurants to suit any taste. Dwell Nona Place is nestled among the beautiful landscape of south Orlando paired with urban conveniences. Whether you’re looking to find a new career at SeaWorld®, or just want to be close enough to visit whenever you like, our rental community is the perfect fit. Contact us today to learn more about our apartments for rent near SeaWorld® and schedule a tour!